Our marathon eight-hour City Council meeting this week was very productive – it’s clear that we’re making important forward strides. Some issues have to return to the City Council multiple times, as required under the law or because the details aren’t quite worked out. Progress is incremental, and when it happens it’s very satisfying! We moved forward on both Community Choice Energy (CCE) and the draft Climate Action Plan, which was the subject of last week’s newsletter. I expect there to be difficult and controversial aspects for both of these items, but right now there’s a sense of unity of purpose in committing to the city’s greener future. It’s an exciting time on both these fronts. Here are the San Diego Union-Tribune story, the staff report on the Climate Action Plan, and the staff report on Community Choice Energy. To the relief of many, we approved a “deemed approved ordinance” which gives the city additional tools to enforce rules against alcohol-related nuisance behavior. Encinitas has 134 restaurants or bars that serve alcohol, with 40 of them open past 10 p.m. The vast majority pose no problems, so for them no new permitting is required based on this ordinance. But if nuisance activity repeatedly occurs in or near the premises, such as excessive noise, harassment of passerby, public urination, assaults, thefts, public drunkenness, lewd conduct, traffic violations, graffiti, or illegal drug use, then the city can revoke the “deemed approved” status of the business and require a new permit with stricter limits. The ordinance gives the city the tools necessary to be more effective at cracking down on establishments that are creating the environment for these problems. Tremendously controversial about four years ago, the ordinance didn’t pass when it was first proposed. The city then made a series of efforts with better code enforcement and Sheriff’s presence downtown. However, the city has lacked sufficient regulatory authority to deal with emerging issues before they became a clear law enforcement problem. This new ordinance should remedy that. We unanimously voted to approve it, with no public speakers expressing opposition. Here’s Aaron Burgin’s Coast News story. Our group gathered for a photo before we began the walking audit with Dan Burden. About 40 people attended a “walking audit” of El Camino Real in New Encinitas last week with Dan Burden of the non-profit Walkable Communities, Inc. He’s a nationally recognized authority on street design for safer walking, biking and driving. Dan has personally photographed and examined biking and walking conditions in over 200 U.S. cities. His sweet, grandfatherly manner and clear articulation of improved walkability and livability is accessible and inspiring. Here’s a link to his fascinating 20-minute TED talk, and here’s his website. Dan’s suggestions for El Camino Real included considering mid-block pedestrian-only crossings; planting trees in the roadway medians; widening the sidewalks; encouraging neighboring shopping center owners to link their properties with pathways when they remodel; narrowing some of the vehicle traffic lanes from 11 or 12 feet to 10 feet; and reducing El Camino’s vehicle speeds to 35 mph. Deputy Mayor Tony Kranz deserves credit for coming up with the suggestion that we get Dan here for this walking audit. Thank you, Tony! My goal is for us to become a leader here in Encinitas with our transportation planning. The Council unanimously supported hiring Dan to review upcoming transportation projects, starting with the imminent construction of two blocks of sidewalk, buffer and edging on the south side of Santa Fe Drive across from the recently completed north side sidewalk. Barbara Henry’s San Diego Union-Tribune article about the walking audit can be found here, and here’s Aaron Burgin’s Coast News story. There’s nothing more important than our budget and I’m happy to report that we’re on strong financial footing. We unanimously approved a $95.6 million 2017/18 budget with a few small changes. Councilmember Mark Muir had requested dedicated yearly funding for acquisition of open space. The entire Council supported his good idea, for which we’ve allotted up to $500,000 a year. The specific amount in any given year will be based on the surplus in that year’s budget. If there is no surplus, then it won’t be funded that year. We’re also putting an additional $250,000 a year into a new fund called “General Mobility Improvements” to help fund bike lanes, striping, sidewalks, and related needs. The city continues to fully fund reserves, maintain and improve services like street cleaning and paving, has a relatively low bonded debt ratio of 5.7 percent, is managing our pension liability and the predicted increases in that yearly payment and has made no permanent additions to the size of city staff. Here’s the staff report about the budget. • We approved traffic calming on Willowspring and Cerro: The Coast News story is here. • We authorized funding $107,000 for the Opening Doors project, to help find homes and permanent shelter for the homeless living on Encinitas streets. The first year of this program resulted in 27 homeless households being placed in homes, about half of these being families with children. This is money well spent! Here’s the staff report, which provides a lot of fascinating information. • Our housing element task force will meet on July 6, Thursday, at 5 p.m. at City Hall to hear from our consultant. He’ll report on the possibilities for the modified housing element based on his analysis of every site in the proposed housing inventory. The Encinitas Advocate story is here. The City Council is now on a five-week summer recess, during which the city’s work continues but we don’t have Council meetings. Each meeting requires a large amount of preparation on the part of the professional staff – writing, editing and compiling the meeting agendas and staff reports, plus packets of background material. This summer break allows them to focus on the work of the city. It also allows our elected officials to take vacations without having to miss City Council meetings. I’ll be taking some time off this month as well, so you won’t be hearing directly from me for a few weeks. I hope you’re able to enjoy our summer, too. One of the wonderful things about living here is that a “stay-cation” in Encinitas rivals many expensive holiday destinations! P.S. Happy Fourth of July to you and your family! I love celebrating the birth of America. The Declaration of Independence was officially adopted two days after the Continental Congress voted in favor of independence from England on July 2, 1776. Americans have been celebrating ever since, with the first fireworks and recognitions beginning just one year later, on July 4th, 1777. 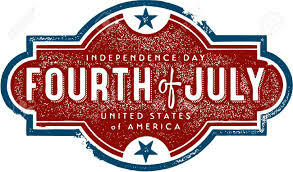 Here’s a piece of interesting trivia – did you know that three of the first five U.S. presidents died on July 4th, and since that time no president has died on July 4th? After setting our nation free and living through the first tumultuous years of independence, both Thomas Jefferson and John Adams died on the 50th anniversary of our nation, July 4th, 1826. It’s not hard to imagine that they wanted to keep watch over our infant country, and felt they could let go only after knowing that this great democratic experiment had survived for at least a half century. Five years later to the day, in 1831, the fifth president James Monroe also died on July 4th at age 73. 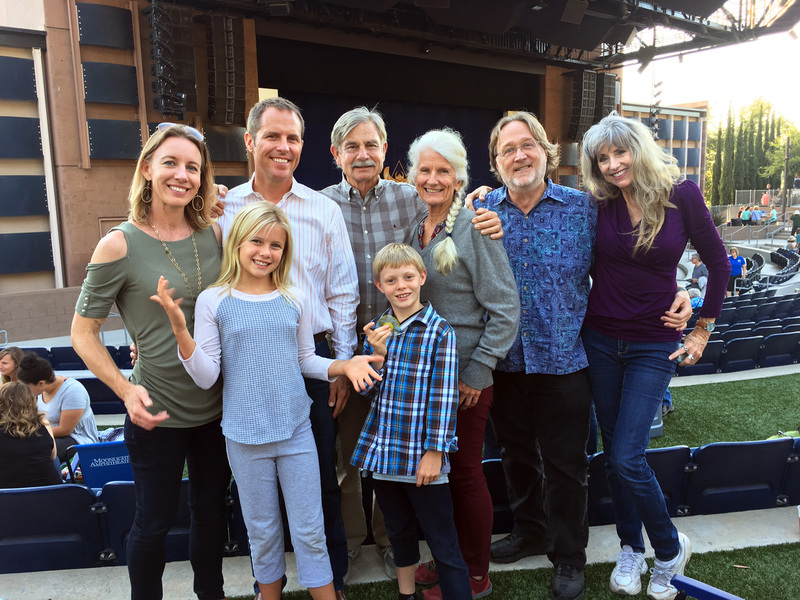 Last weekend, the Blakespear family, together with my mom and stepfather Tricia Smith and Richard Cottrell, along with communications guru Scott Chatfield and our good friend Martha Lawrence (plus our longtime family friend Kulani Kamaha’o, who took the picture! ), enjoyed a picnic and the Broadway musical Aida at the Moonlight Amphitheatre in Vista. Previous Post6/25/17: Encinitas Cools the Climate, and Musings on Musical MagicNext Post8/6/17: Elections by district in Encinitas?